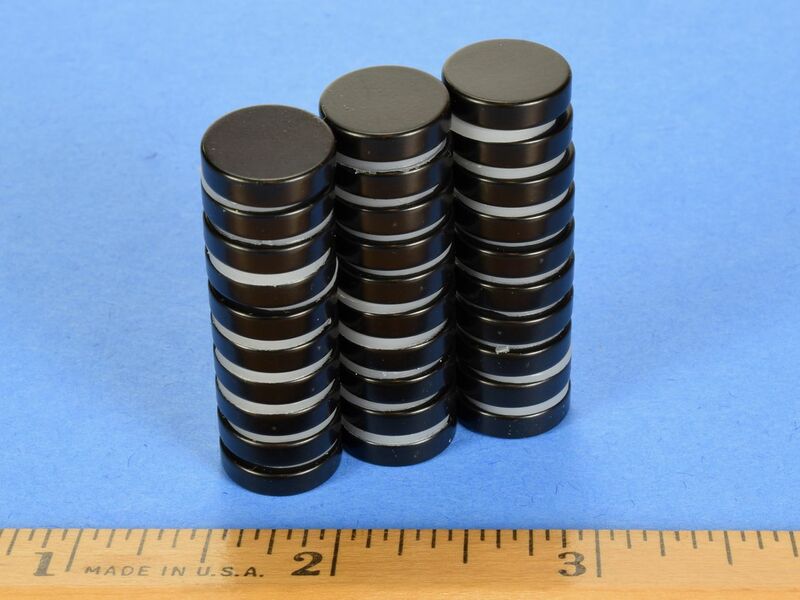 Here we offer our very popular 1/2" diameter x 1/8" thick discs with an epoxy coating. Epoxy is the most corrosion resistant of the neodymium coating options. The coating gives the magnets a deep, black finish. 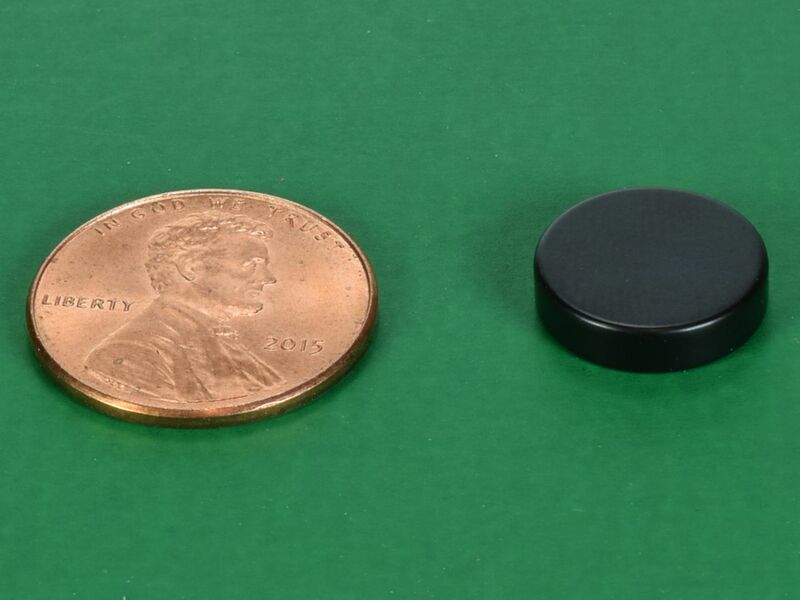 Epoxy coated magnets are your best option if you will be using the magnets outdoors or in a humid environment. This size is also available in grade N52 with our standard Nickel plating as part number D82-N52, in grade N52 with a Black Nickel finish as part number D82B-N52, in grade N42 with our standard Nickel plating as part number D82, diametrically magnetized as part number D82DIA , and in High Temp grade N42SH as part number D82SH.